In the current age of going green and sustainability permeating every facet of our daily routine, the coffee industry is one that has taken the mission to heart, incorporating the concept into every aspect of the supply chain, from seed to cup. 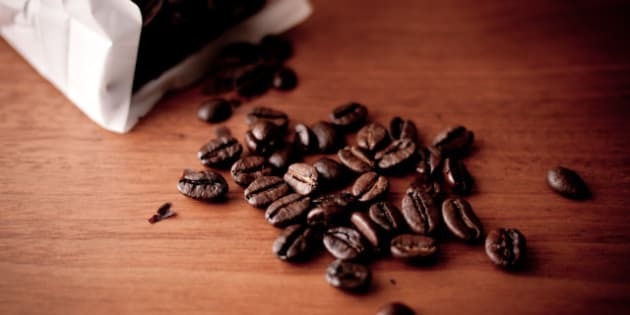 But for all of its efforts, one fact that stubbornly remains is that by nature coffee is a fundamentally unsustainable product: environmentally, socially, and economically. I often lament how little the average consumer knows about and respects the amount of work that went into that cup of coffee they so desperately need to get them through their morning. Coffee, being easily one of the most labour-intensive agricultural products in the world, is grown exclusively in developing countries, populated by a great many of the three billion people in the world living on less than $2 a day. The economics of coffee for the producers is untenable as it is, for one simple reason -- we don't pay them enough for their product. Five dollar lattes and Fair Trade premiums notwithstanding, coffee is disturbingly inexpensive when you take a closer look at the numbers. The cost of production of a pound of coffee is around $2.00/lb (this varies greatly country by country). Most farmers make a very small profit when they sell their coffee to the first of many middlemen that stand between them and you. When it finally gets to a café in Toronto, the cost of the beans is around $8.00/lb, which will make 30 good, strong cups of liquid coffee at about $0.27 per cup. The café has additional costs, like milk, labour, rent, etc., but a cup of black coffee still has one of the highest profit margins in the food industry. Now, imagine for a minute that the entire coffee community could get together and agree to pay $1 more per pound, all of which was guaranteed to get into the farmers' hands. With that cost being passed all the way through the chain to the end consumer, that now $9.00/lb coffee would raise the cost per cup by just $0.03. Think of the good we could do when considering a few more numbers: Canadians drink just shy of three cups of coffee per day, so with the $0.03 extra per cup, that would amount to $30.66 ($0.03x3x365) out of your pocket per year. Canadians alone drink in the neighbourhood of 14 billion cups of coffee every year, so just considering our consumption here, that extra three cents could conceivably result in $420,000,000 flowing directly into the hands of those who need it most -- the rural, the marginalized, those who have the least access to social programs or government assistance, and who are the most difficult to reach through development projects. And it should be said that, while development work is crucial, the people that know the needs of third-world farmers the best are the farmers themselves, many of whom face a difficult question every year when they are paid for their crop: do I feed my family or my farm? This idea may sound like international wealth redistribution, but really, it's more akin to a long-overdue market correction - fixing the lopsidedness of an industry that has been built on an intensive agricultural product being treated as an easy-to-manipulate commodity. So while this dollar-more-per-pound-model is not perfect, or even feasible at the moment, it illustrates a point. We are facing a new reality in not just the coffee industry, but the food system as we know it: the things that we consume are simply going to cost more than they have in the past. Not only because costs of production are constantly rising, but because that market correction isn't just something that should happen... it's something that needs to happen to fix what has become an unsustainable agricultural model. Buying great quality coffee is one way to ensure we're paying more for it -- as with anything, growing something of great quality costs money. But quality shouldn't be the only reason we pay more. Bad farmers don't grow bad coffee. In fact, little if any coffee is grown by bad farmers. Some grow quantity, some grow quality, and many fall somewhere in between. While there is no doubting that a higher quality of product deserves a higher price, the average price must come up to ensure that every coffee farmer's quality of life improves. We need to create, or rather adapt to, a truly sustainable business model for coffee; one where the producer, consumer, and everyone in between are all financially, environmentally, and socially stable. I know I can comfortably speak for the coffee industry by saying that we're actively working on it, every single day. What can the average coffee drinker do to support this? There is no one answer, yet. So buy your daily cup(s) of coffee from roasters and shops that are going above and beyond for the benefit of the farmers that are producing their coffee -- they're quite easy to find with just a little bit of research. And the next time you see an infomercial that asks you if you are willing to save a child's life for "just the cost of a cup of coffee a day," think about just how much more good you could do by spending an extra $0.03 on your actual cup of coffee every day.